Only three games were scheduled in the U18 Professional Development League’s north group in the last week and two of those, including our away game against Sheffield Wednesday, fell victim to the weather. We should have played on Saturday while the Hull v Leeds fixture, scheduled for Tuesday, was also postponed. That leaves just the Bolton v Barnsley game which was played eight days ago and the result proved significant. Bolton won the game 3-1 and that moved them to the top of the league. They were fourth in the table, two points behind us and three points behind leaders Huddersfield, but the won took them above the Tykes on goal difference although they have played one game more than the rest of us. The only game in the south group was last Friday and that one was played with Charlton and Millwall picking up a point each from a 2-2 draw. The point was enough for Millwall to edge a point ahead of Watford into second place. And that was it for last week, while this week there are a total of five games, starting with three on Saturday, including our trip to Barnsley, and ending next Thursday when Crystal Palace, the south group leaders, travel to bottom of the league Coventry. That will signal the end for 2017 with the next set of fixtures to be played on Saturday 6th January. It’s been a more than decent first half season in this league for our under-18 team. With this one game to play, we currently sit third in the table with eight wins from our 15 games. 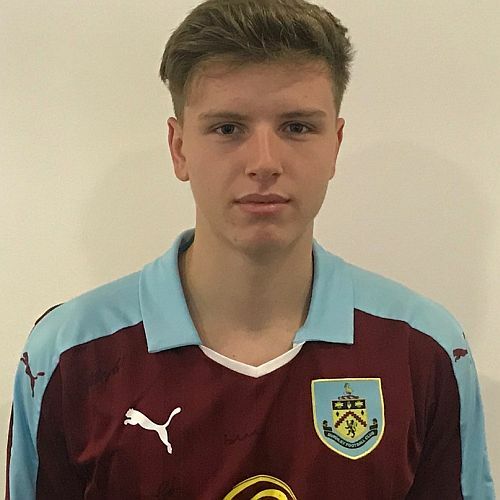 We’ve also been strengthening the squad recently and one of the three new signings, central defender Lewis King, is the player photographed. The League Tables will be updated as results are confirmed. They are alongside our Results and Fixtures within U23/U18 Stats on the top menu. The recent results are below with the remaining 2017 fixtures, our goalscorers and the current tables.